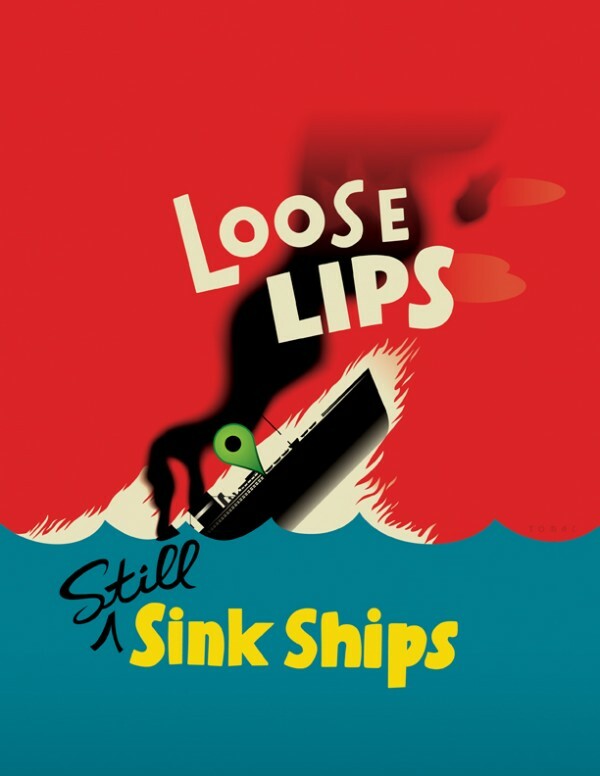 John W. Tomac was asked to create an updated version of Essargee’s famous ‘Loose Lips Sink Ships’ poster for USAA Magazine. The art ran with a story on the hazards of military personnel using social media services while they are deployed. Soldiers and sailors run the risk of giving away sensitive or classified information when posting to Facebook and Twitter, even if they are only trying to stay in touch with friends and family back home.